PK, 20 Jun 2014I am facing problem in facebook, I am not able to run any video file, when I select any of the... moreFacing the same problem, please help, how to resolve it? 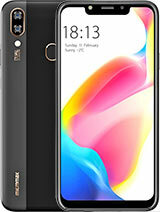 I suggest to all that this phone does not deserve a penny of it.Internal memory is very low followed by phone storage.Body looks very cheap(no surprise as it is micromax).Display is OK.You cannot run heavy apps like asphalt 8 on it due to it's only 1.27 GB internal.Android version 4.2 I.e a kind of outdated.Sometimes it hangs a lot.You have had more options in this price range. 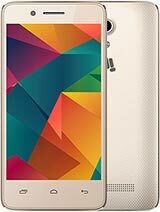 I used Micromax Canvas Magnus (A117) for almost 1 years 8 months (Nov. 2013-June 2015) and purchased cost was 15k. From the day one I was disappointed with camera quality, heating problem, unwanted loaded games (which has virus), upgrade problem, power backup and high cost. In June, 2015, my mobile screen broken and I went to Micromax service center and ask for repairing. 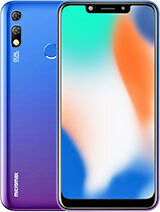 The person said blue color mobile screen is not available in stock then I said go with other color, he said it will be around 5,500 cost to change the screen. 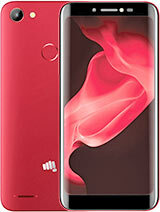 Then I realize that I made a big mistake by choosing Micromax mobile. I would suggest to you go with other mobiles, but don't go with Micromax. 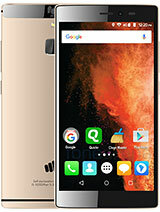 Worst mobile of my life.....No no no no to Micromax. Better to go with China mobile or some other local mobiles, but don't waste your money on Micromax. Viral, 23 May 2015In 1.2 year i was changed my magnus A117 mobile lcd two times, This is the Quality...I've been using the Mmx Canvas Magnus A117 for last 1.3 years (April 2014 onwards). Perfectly happy with the device in all aspects, except the apps memory space limitation. Battery lasts one full day with regular phone usage + GPRS + some music + minimal gaming activities, no complaints in that department. But space available for app installation is limited to 1GB which gets filled up quite fast and forced to uninstall some apps not in use ! go to mmx service center they will replace new battery if your phone battery is swelling / bulging you have to stop using damage battery. I have been facing battery backup problems.is it advisable to use a new battery? Have anyone used an another battery.if yes then please tell me the specifications of the battery...and from which online site to buy at? Anonymous, 24 May 2015My phone storage space is running out even if i have only one apps Whatsapp( at the time of do... morei have the same problem exactly. can you please let me know if the problem has been solved in your case. i tried doing factory setting restore. then the entire space becomes available. later it vanishes. i am using A117 for long and found it very good. i have downloaded apps of about 500 mb memory and it shows the entire 1gb of phone storage full. i have 8 gb external sd card also in it. after restoring factory settings entire 1 gb of memory remains for a few days and later it starts getting full without downloading anything extra.